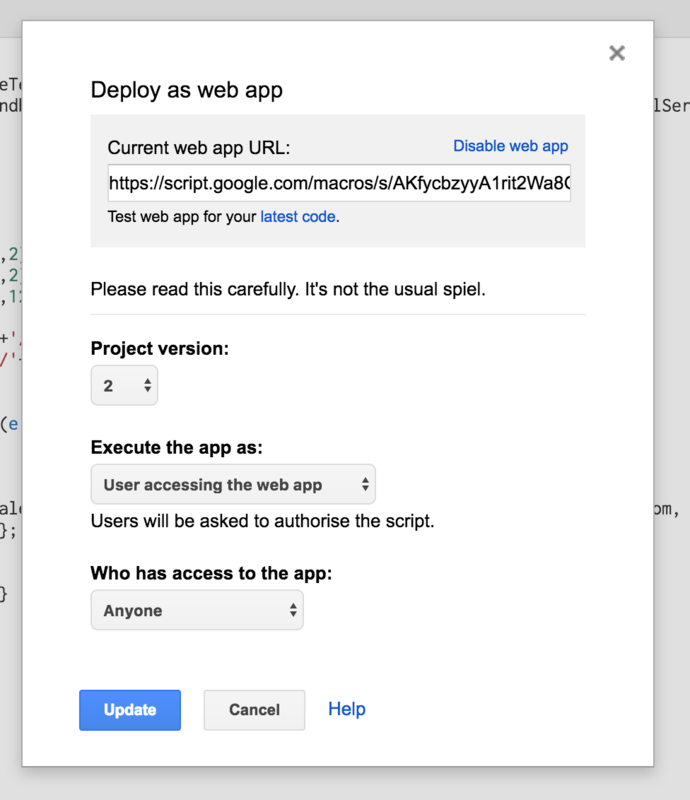 Google Scripts are awesome as a multitude of different business applications can be built on top of them. Therefore it's great that you can also use them inside Happeo Pages. This article assumes you are familiar with Google Script. Google Script needs 3 things to work with Pages. 1st you need to have a built UI for the script. 2nd you need to set the doGet(e) function output with setXFrameOptionsMode(). 3rd you need to publish the script. Lets go through the details below. By default the HTML output is not allowed to be embedded. To fix this, you need to set the HtmlService output to allow embedding. Below is short snippet to allow this. Now you can add a new iframe widget to your Happeo Pages, copy the web app url as the source and you are all set!